When Jon Bernthal first showed up on-screen in the early episodes of Daredevil’s second season, two things became very abundantly clear: 1. The MCU just got the darkest it’s ever going to get, and 2. He’s definitely here to stay. You could probably argue that it’s not entirely fair, since Bernthal got a whole TV series (well, first it was more like half a series, and in a fairly supporting role) to grow and develop the character, but he’s almost instantly incredible as Frank Castle here. Leaning more heavily on Castle’s tragic past and military background, Bernthal’s Punisher is unquestionably violent, but in a very real, very emotional context. Like Stevenson’s, he doesn’t scare easy and never hesitates when tearing people apart with his bare hands. But like the original, he’s a seriously grounded, three-dimensional figure too; one with an admittedly damaged mentality, who walks a very thin line between hero and villain. Put simply, he’s actually complicated, not just a psycho gun-nut with a thousand-yard stare. 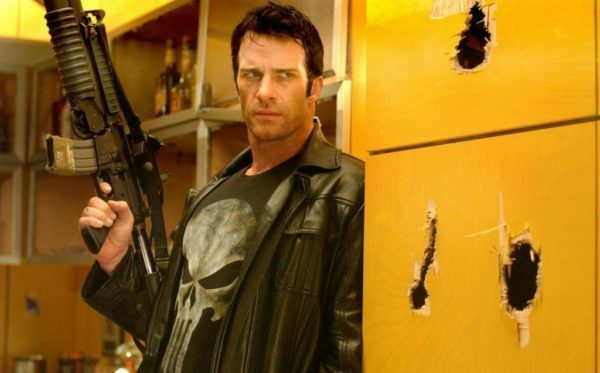 But it must be said, when it comes to cementing the definitive on-screen Punisher, Thomas Jane is simply unbeatable. First starring as the tortured vigilante in Jonathan Hensleigh’s hugely under-appreciated 2004 blockbuster, Jane went on to reprise the role in the follow-up video-game (which in itself, totally nailed the character too) and eventually a Comic-Con exclusive fan film, as part of Adi Shankar’s Bootleg Universe. He was even well-up for starring in War Zone too, until a change of heart by the studio led to some much fabled “creative differences”. As well as possessing a frankly godly voice, Jane is about as likeable as leading men come, and the fact that Hensleigh’s film spends a whole bunch more time building the character’s tragic origins definitely helps. As Frank Castle here, he not only nails the look (which leant very heavily on the trench-coat wearing MAX version Garth Ennis had just started publishing at the time), all of the brutality he shows feels entirely necessary as well. He’s probably a little more softer around the edges than Bernthal’s or Stevenson’s versions, but Jane really uses that to his advantage, making for a Punisher that’s still dark and violent, wracked by fear and guilt, but one that retains plenty of humanity. 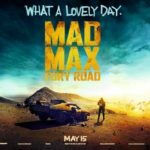 In a nutshell, Jane’s is the most obviously cinematic portrayal, and certainly the most well-rounded. The Punisher features a cast that includes Jon Bernthal (Frank Castle), Deborah Ann Woll (Karen Page), Ben Barnes (Billy Russo), Jason R Moore (Curtis Hoyle), Michael Nathanson (Sam Stein), Daniel Webber (Lewis Walcott), Amber Rose Revah (Dinah Madani), Ebon Moss-Bachrach (Micro), Jaime Ray Newman (Sarah Lieberman), Paul Schulze (Bill Rawlins), Shohreh Aghdashloo (Farah Madani) and Mary Elizabeth Mastrantonio in an as-yet-unrevealed role. It premieres on Netflix on November 17th.